Fifth Circuit: Human Rights First, along with Amnesty International USA, Minnesota Advocates for Human Rights, the Asian American Justice Center, and Episcopal Migration Ministries filed an amicus brief in the case Li v. Gonzales. The brief argued that the Board of Immigration Appeals erred in holding that punishment, under a criminal law that prohibits all non-government regulated religious activity, is not persecution on account of religion. To the contrary, international law, incorporated by U.S. law, recognizes that freedom of religion necessarily includes freedom to practice one’s religion. Specifically, international refugee law, as interpreted by U.S. courts, recognizes that prosecution for religious practices is persecution where, as in this case, the law violates accepted human rights standards and cannot be justified by any compelling public interest, such as safety. 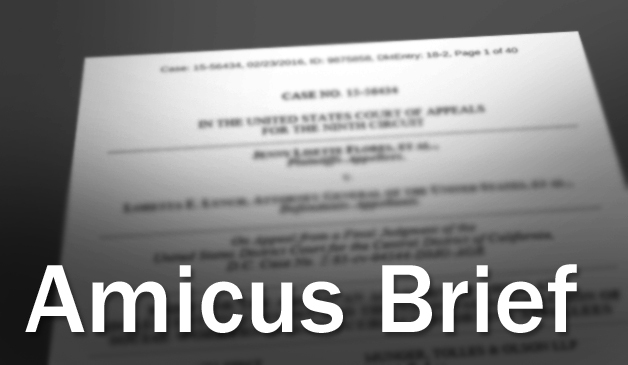 Human Rights First and other amici petitioners were represented by Jeffrey J. Keyes of Briggs & Morgan, P.A.